I've been taking a bit of a break from knitting and crocheting. It started over the Christmas holidays when I went away for 5 weeks. I put my Etsy shops on vacation and spent a lot more time reading. When I got back I re-opened my pattern shop, but decided I need time to work on my creations before opening that one for business again. I've been easing into crafting again. The start of the year here in New Zealand is a very busy time, as the school year starts, the tax year ends, and people try to make the most of the closing warm summer days. So now that fall is fully upon us, it's the perfect time for me to start working with wool again. 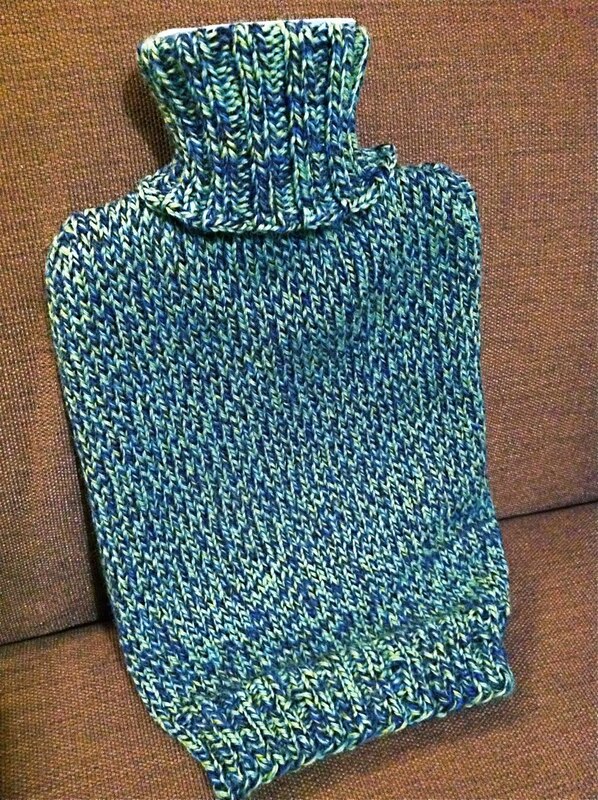 The first thing I've made is in direct response to a few chilly nights we've had recently. 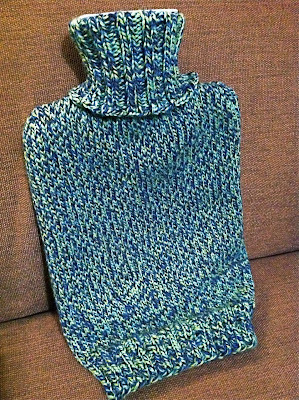 A hot water bottle cover, based on this pattern over at knit picks. It'll be the perfect thing to make warding off the coming cold a little more cozy and comfortable. Who wants to snuggle naked rubber? I'm making two, one for each of my daughters. What do you create when the weather turns cold? I make up warm woollen boots. When the kids were little they would both get a new pair of TV slippers for winter. I LOVE the 'marled' look of your hottie cover and that it looks like a jersey - too cool!! I have a hottie somewhere... have to find it now! A very good idea and a great look! !